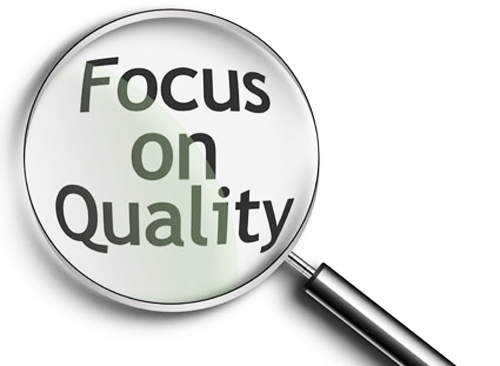 Adwords quality score is a metric used to determine the quality of an ad. Businesses spend millions of dollars in adwords in order to display an advertisment on Google. The position and the pricing of the ad depends upon the quality score than an ad gets. A well written ad with a relevant landing page can rank high on the ads section while paying a lesser bid. CPC stands for Cost Per Click which is the minimum amount an advertiser needs to pay for every ad clicked by the user. Quality score plays an important part in determining the price of the bid which an advertiser pays. A better and a higher score helps your ad to get the maximum visibility in a lesser bid. Google rates an ad based on the following ranking system. How to Improve Quality Score ? 1- Clickthrough rate- This is the most important factor affecting the quality of the ad. An ad having a higher clickthrough rate receives a higher quality score as compared to the ad that is having a lower clickthrough rate. 2- Quality of Landing Page- The quality of the landing page is a great way to judge the quality of an ad. The landing page should be relevant and user friendly. 3- Relevancy of Keyword- One of the obvious factors is the relevancy of keyword matching the searches. If a person is searching for a phrase "teddy bears" and your ad title, description or url is having the same words then there are chances then your quality score would be increased. 4- Geographical Relevancy- The targeted geographical location of your ad campaign can be a better criteria for judging the relevancy and quality of an ad. 5- Display Url- The url displayed with the ad has an importance associated with it. Presence of the keywords on the url helps to determine the relevancy and hence increases the overall score of the ad. For example of your website is selling "Teddy Bears" then the display url must have the keywords "Teddy Bears" in it.